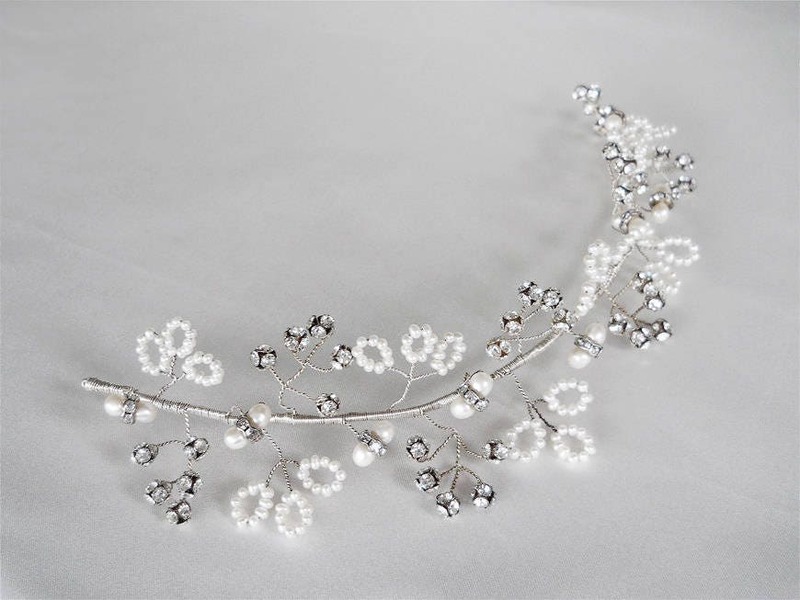 This versatile delicate branch is beautifuly crafted using silver wire, Swarovski crystals and freshwater pearls. 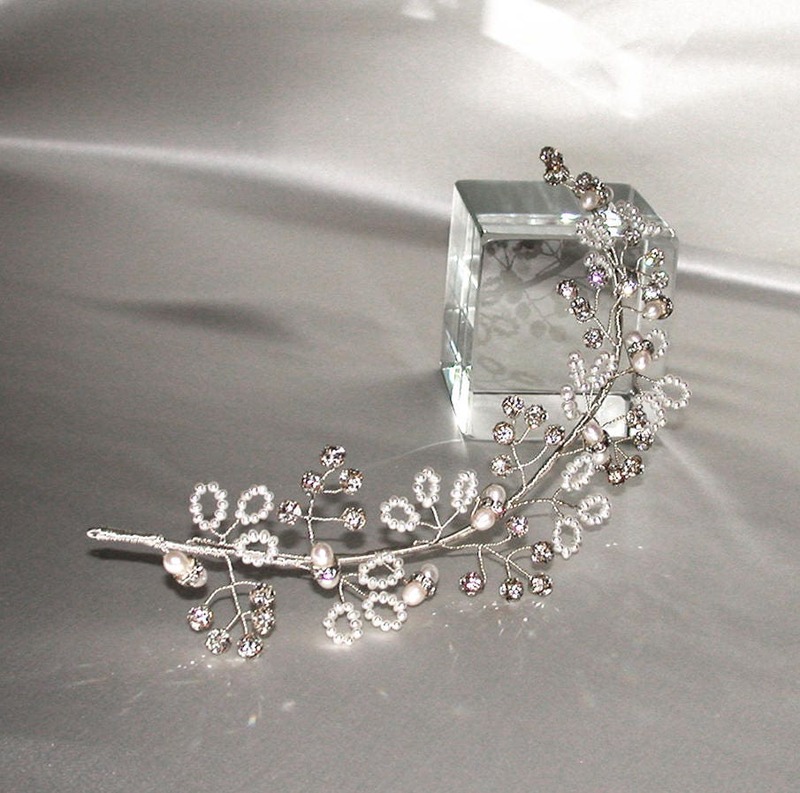 This headpiece is very flexible and shapeable to suit almost any hair style. 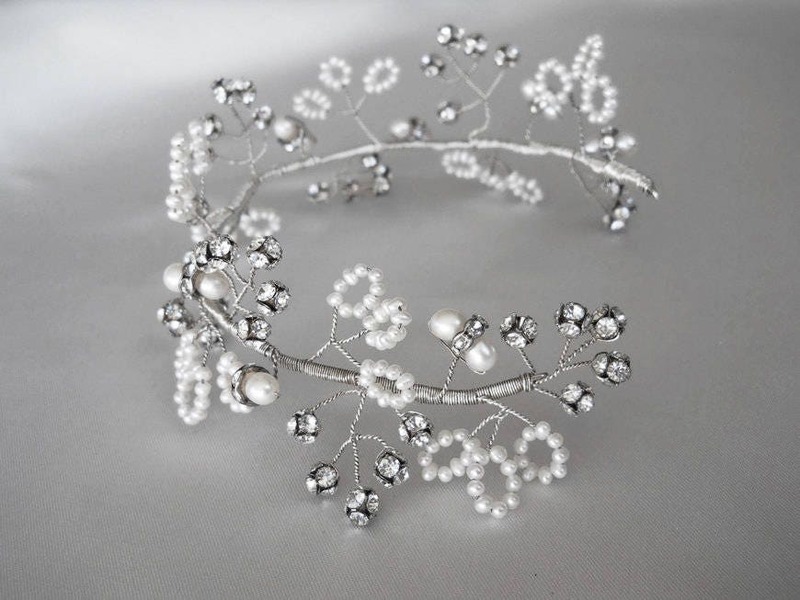 It can be used as a headband, a hair vine positioned in the back, on the side, on top or in front of the head. It can be wraped aroud a hair bun or even a hair braid. It measures approximately 11” long and 2” wide. It can be positioned in the hair with bobby pins or with ribbons. Available in gold finish as well. Satin ribbons available to attach, please inquire.